Product prices and availability are accurate as of 2019-04-23 06:00:42 UTC and are subject to change. Any price and availability information displayed on http://www.amazon.com/ at the time of purchase will apply to the purchase of this product. Color - Light blue transparent liquid. Directions - Detailed instructions are included on the bottle. 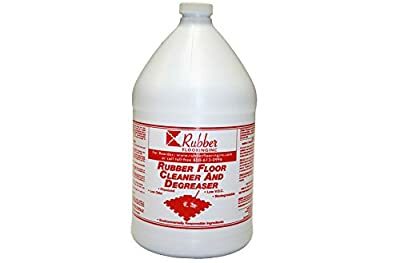 Basic instructions are to damp mop the floor with the solution, then allow to sit for 5-10 minutes, and finish by damp mopping the flooring at the end with clean water to rinse the floor surface off. Weight - Approximately 9 Lbs. per gallon. 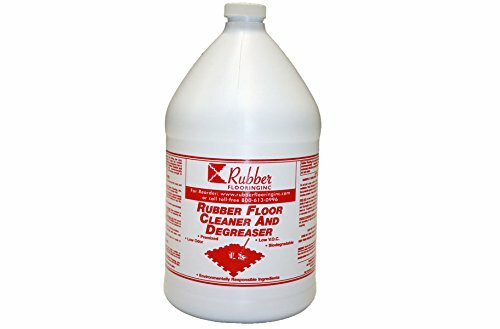 Recommended Uses - As a general rubber flooring cleaner for virgin rubber floors and recycled rubber floors.